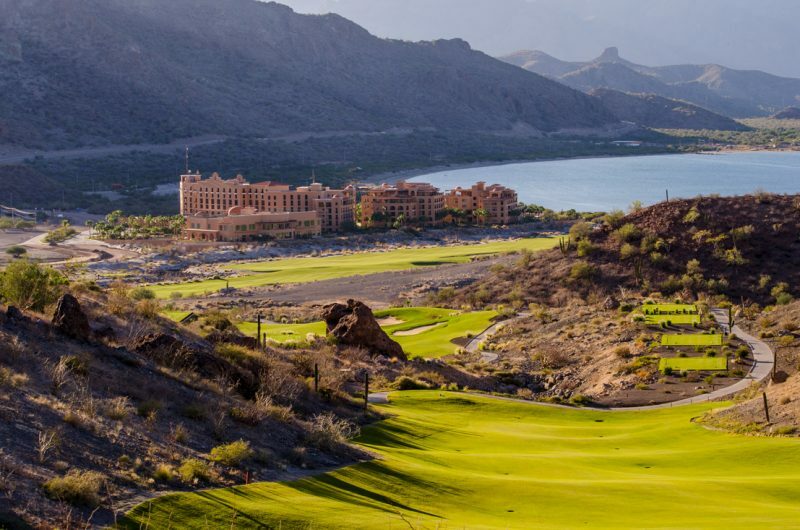 The final Hooked on Golf Blog world tour stop of 2018 was at TPC Danzante Bay golf course, on property at Villa del Palmar Beach Resort and Spa at the Islands of Loreto, Mexico. 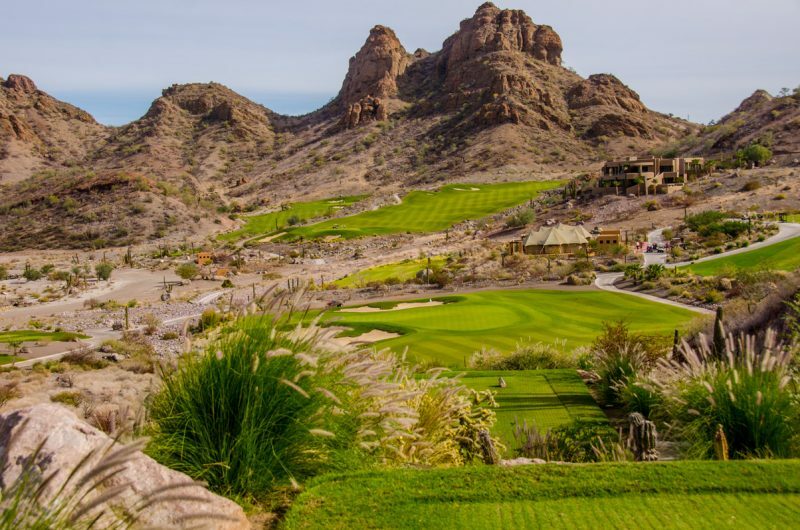 TPC Danzante Bay is a Reese Jones design, winding amongst the mountains that surround the beautiful Danzante Bay. Reese Jones is the son of one of golf’s all time greatest architects Robert Trent Jones Senior. I’ve had the opportunity to play many Rees Jones courses and TPC Danzante Bay is right there amongst the best of them. 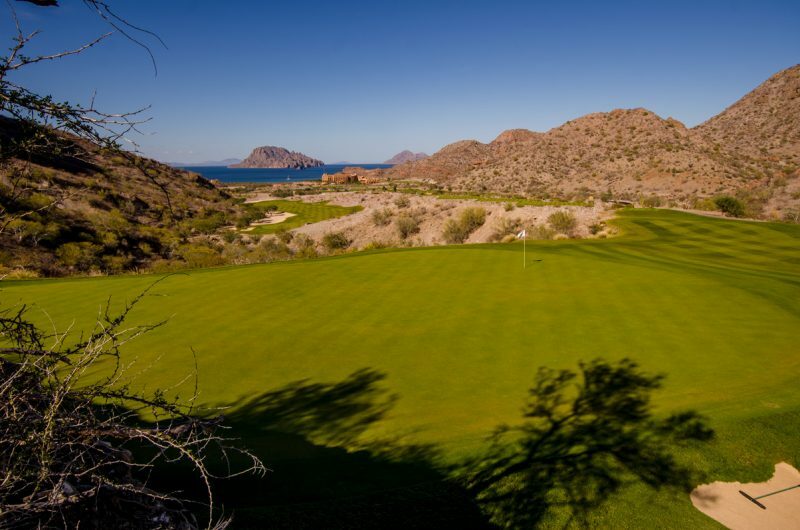 TPC Danzante Bay Is located approximately 300 miles northeast of Cabo, Mexico, on the east coast of the Mexican Baja. The nearest town is the quaint and historic seaside town of Loreto, Mexico. Loreto and its airport is approximately 45 minutes away. The course’s home is the rugged desert hills and vistas in the Sierra de la Giganta mountain range, which overlooks the bay. The golf course plays to a par value of 72, 36 front and 36 back. From the longest set of tees, the blacks, the course stretches to 7,237 yards. There are four other sets of tees for golfers of varying abilities. I would normally post the course slope and rating but my score card and information I have on the course shows neither. Perhaps it is so new (2016) it has not been rated yet. I found the course routing to be quite enjoyable. There is a wide and interesting variance as the course travels through the valley floor, up the side hills, to the tops of the mountains and back down by the sea. Along its journey the course provides stunning visuals and vistas worthy of photography on practically every hole. I nearly spent as much time taking pictures of the golf course as I did playing it. I felt right at home and enjoyed the elevation changes on many of the holes which reminded me of my home mountain golf. Some of the most entertaining elevation drops are on the par-3 17th and the par-3 9th. The par-4 15th and 16th holes present a fun elevation increase where calculating the proper club on approach is challenging. If the golfer picks a club which is too short or doesn’t make solid contact, the ball could land short and roll all the way back to his position. Tee shots are a blast and on this course you’ll love blasting your tee shots to the fairly forgiving and wide fairways. There are some forced carries from many of the tees, as much of the course style is desert target. If the golfer is playing from the appropriate tee, carrying the native areas should not be an issue. I really enjoyed how each different tee not only gave the golfer a different choice in terms of length, but angle and elevation as well. There are some extremely fun par-4’s and par-5’s with large elevation changes which make driving the golf ball a hell of a lot of fun. The par-5 fifth, par-4 seventh, and par-4 18th holes come to mind. On the par-4 7th I had one of those blasts. I hit a towering draw which caught the speed slot and traveled all the way down to about 120 yards from the green, some 320+ yards from the tee. As I mentioned the fairways are fairly wide and accessible. Only tee shots which are very errant will miss and find desert areas or natural hazards. There is some minor undulation in the fairways but uneven lies are not much of an issue. I was very satisfied with the quality and grow-in of the fairways. The turf conditioning was terrific and there were no bad lies to be had. Fairway bunkering is strategic and well-placed. Most fairway bunkers are navigable and the golfer has a chance to make the green with a well executed shot. There are a few forced carries to some of the greens like the highly publicized par-3 17th, where carrying the ball all the way to the green is necessary. Most of the par-4’s and par-5’s, however, allow the golfer to choose the option of flying it all the way or hitting a links-style running shot short and bouncing it up onto the surface. I found the greens at TPC Danzante Bay to be quite enjoyable to putt. Undulations and sloping are manageable. Two-putting from just about any quadrant to another is a fair proposition. Green conditioning was terrific, consistent, and the putts rolled true. Par three and putting courses have really taken off in the last few years. It all started with the Himalayas, the putting course near the second tee of the old course in St. Andrews, Scotland. TPC Danzante Bay offers a very fun 9-hole putting course which I enjoyed playing very much. 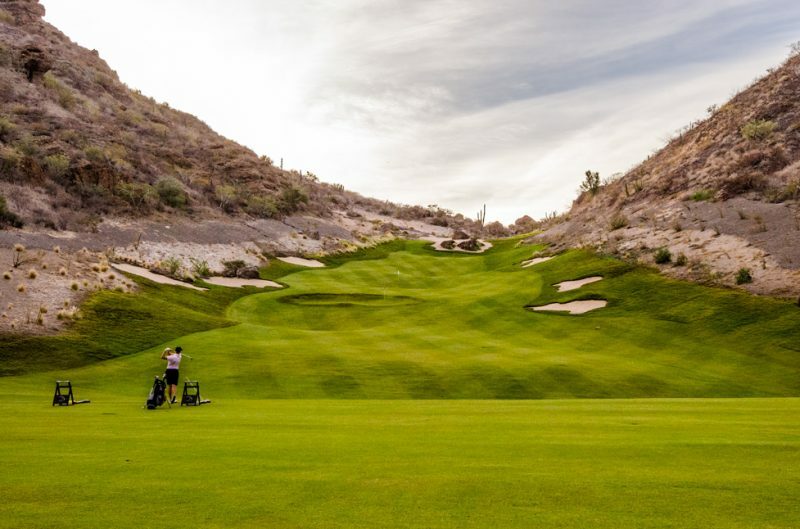 The putting course is a great place for golfers and non-golfers to enjoy aspects of the game, settle bets from the big course, or just enjoy green grass and some frosty beverages in a friendly competition. The practice area is terrific. On the fun driving range golfers hit uphill, similar to the par-4 15th and 16th holes. Near the range is a short-game practice area which gives the golfer the ability to practice every possible chip, pitch, and bunker shot he might encounter playing the course. The pro shop is small and modest and sits next to a café which serves great food and beverages. From the patio patrons of the café enjoy a lovely view of the resort and bay below. 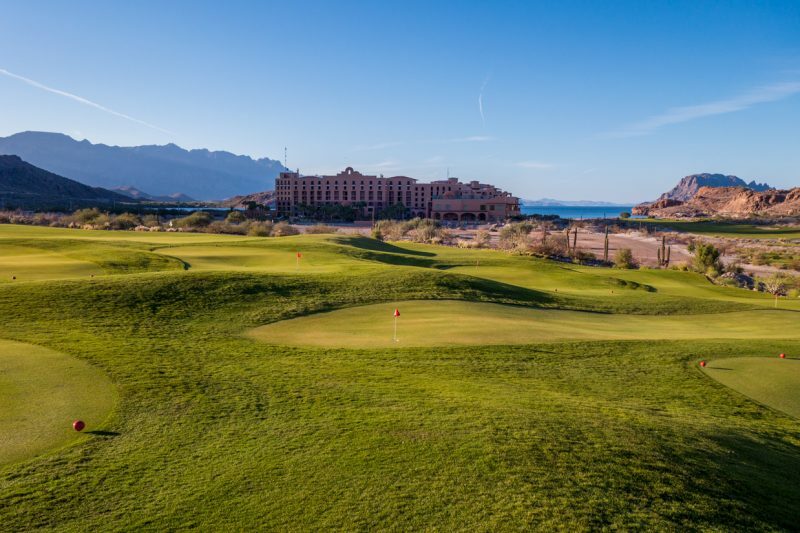 The course is part of the Villa del Palmar Beach Resort and Spa at the Islands of Loreto, Mexico. The resort offers luxury suites, beach and water activities, spa, fine dining, hiking, and much more. Check out the Villa del Palmar review here. Before you book a golf trip to Cabo, Mexico I strongly suggest considering Villa del Palmar and TPC Danzante Bay. The golf course is extremely fun and fair to play. It doesn’t beat the golfer up too much like one might expect a TPC course to do. The views and variances one experiences on the course make every hole interesting and keep the golfer’s attention. When not golfing one can enjoy all of the great activities the resort has to offer. Villa del Palmar Beach Resort and Spa at the Islands of Loreto, Mexico review. 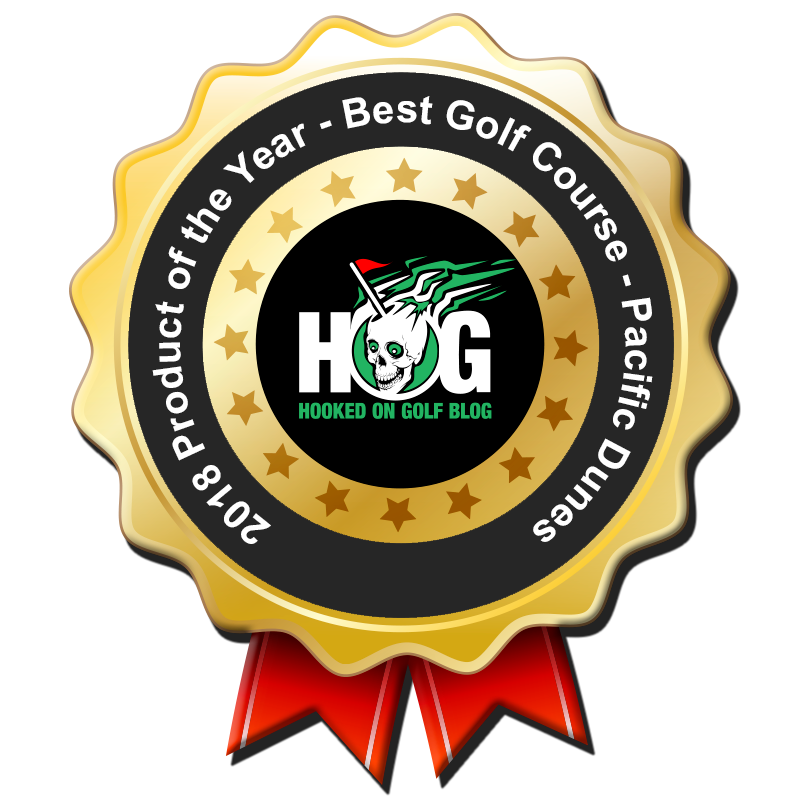 The HOG Product of the Year for best golf course is a course which was featured/reviewed in the calendar year, and has never been played previously. This year there are some very good courses played on the HOG World Tour, so the winner is certainly the cream of the crop. Here is a list of the finalists for this year, including all of the courses from Bandon Dunes Golf Resort. Every course in the finalists list is tremendous. Each has its own personality, great architectural features, and terrific scenery. One course edged out the rest, and boy am I aching to get back there again. 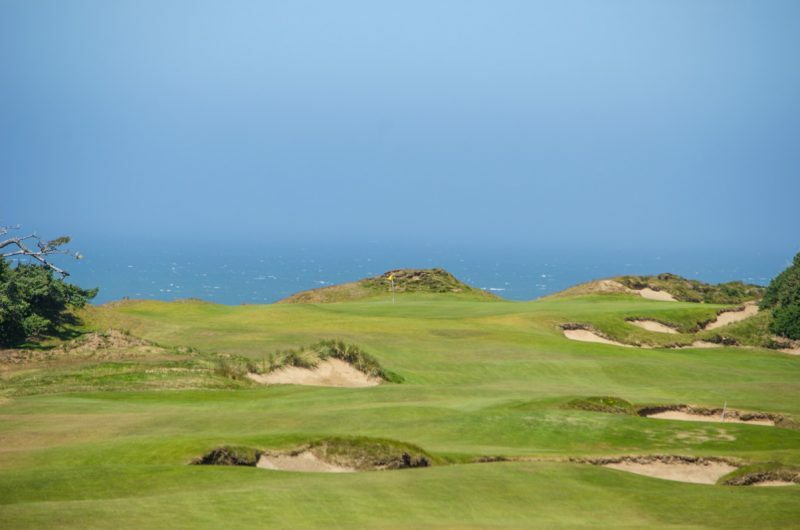 Hats off to Pacific Dunes, a Tom Doak design located at Bandon Dunes Golf Resort, on the Oregon coast. 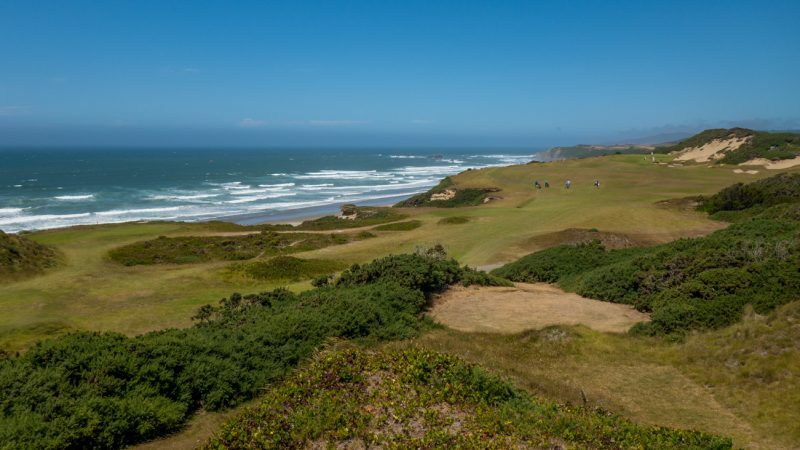 Pacific Dunes runs right along the coastline, presenting tremendous and stunning ocean views and vistas. Walking Pacific Dunes is a pure joy, rivaled only by rounds I’ve played in Scotland at Kingsbarns, The Old Course, Cruden Bay, Balcomie Links, Carnoustie, and the other courses at Bandon. Pacific Dunes plays very links-like. It features tremendous tee shots, fabulous bunkering, and the views are amazing. Perhaps the strongest parts of Pacific are the green complexes and one of the best sets of par-3’s I’ve ever played. I could reiterate more of my thoughts on Pacific. 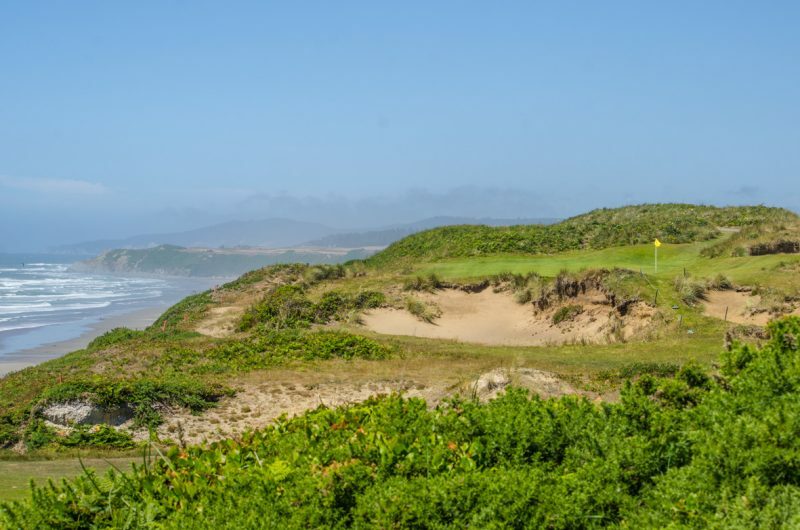 Instead I recommend simply checking out my Pacific Dunes golf course review here. Hats off to Bandon Dunes Golf Resort and Tom Doak for claiming the Hooked on Golf Blog 2018 Product of the Year in the golf course category. It’s truly a prestigious and exclusive award. 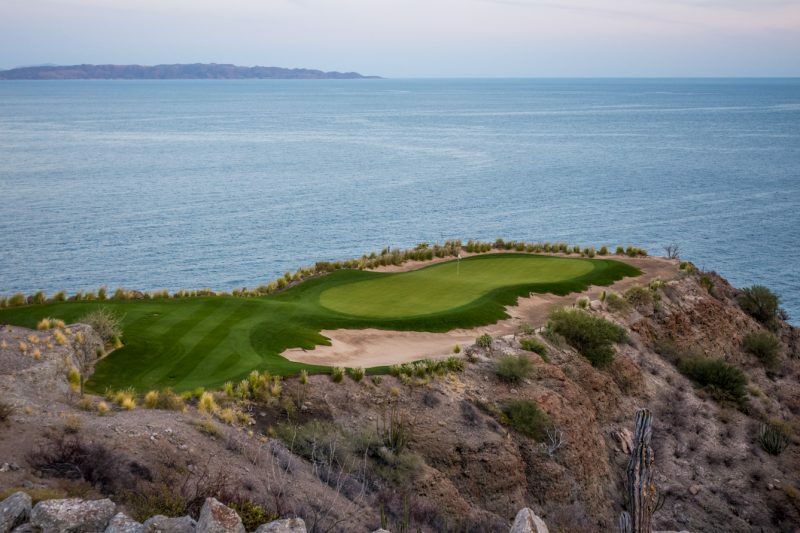 The latest stop on the HOG World Tour was TPC Danzante Bay, about 40 minutes from the town of Loreto, Mexico. 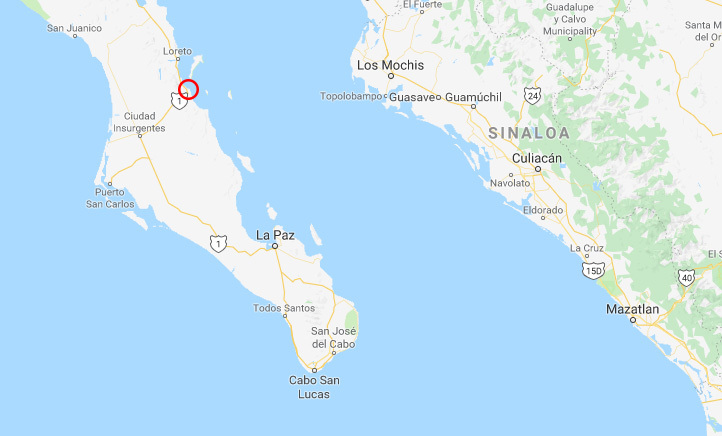 Loreto is on the east coast of the Baja Peninsula, looking over the Gulf of California. 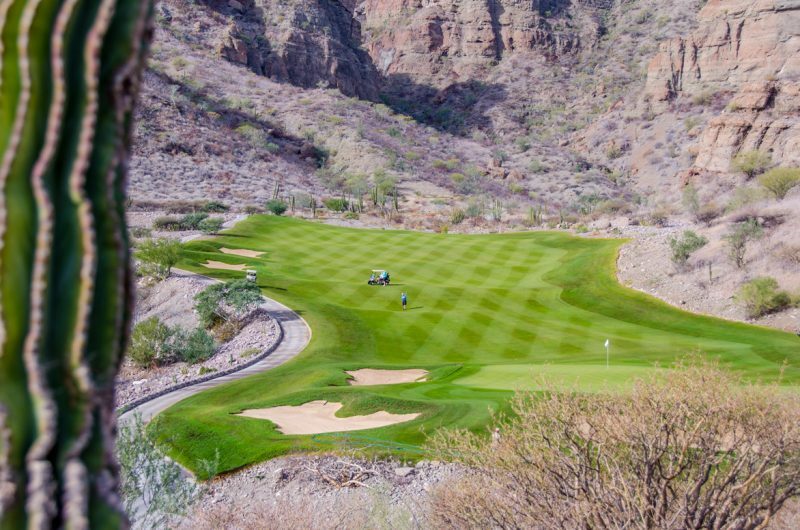 TPC Danzante Bay is a Rees Jones design which takes advantage of the local mountains to produce dramatic views, challenging carries, and elevation changes. 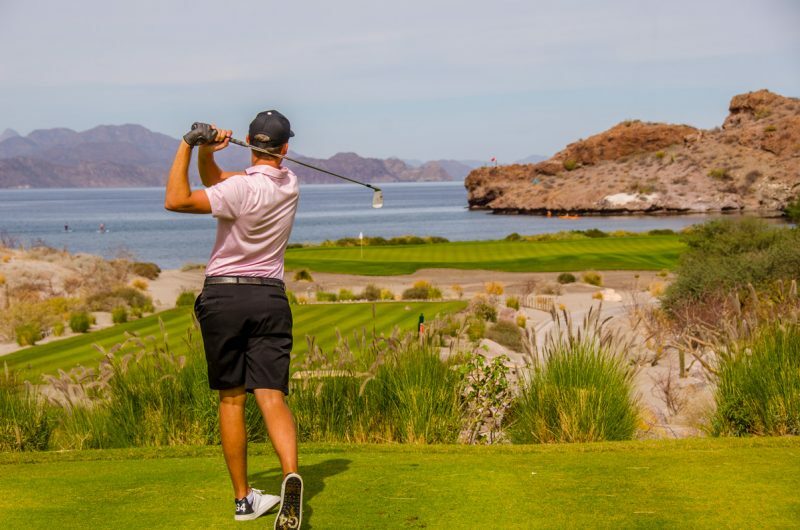 The course is part of the Villa del Palmar resort, which offers other great vacationing activities like great beaches, snorkeling, boating, hiking and more. Stay tuned for my full review of TPC Danzante Bay, and my review of the Villa del Palmar resort soon. I’m thrilled to report I’m officially on hog-cation. 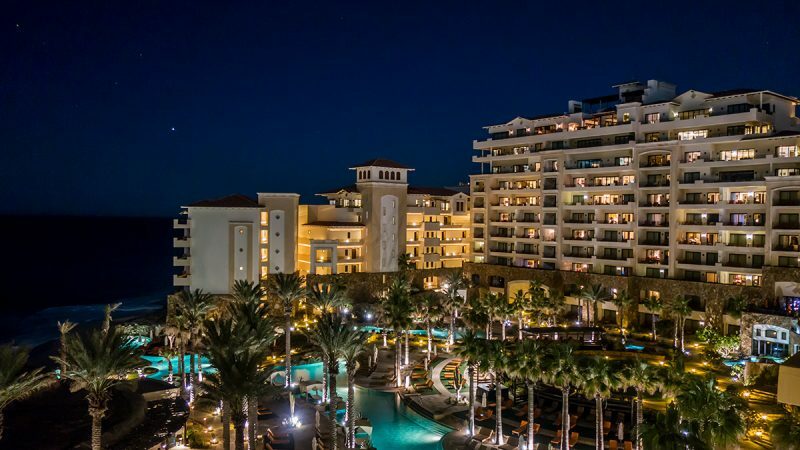 For the next five days I will be enjoying the luxurious Grand Solmar Land’s End Resort in Los Cabos, Mexico. My family arrived in time to spend some time at the pool. Here’s the view tonight.